‘All heroes are afraid,’ she said. ‘There can’t be any bravery without fear. The most daring thing you can do is face your fears and go on anyway. But sometimes it’s better to heed your fears. No one can tell beforehand what the outcome of your choices will be. No one can tell what the limits of another person’s courage are. What do yóu think you should do?’ Purplewood Hill is much more than a detective. It is published at Mijnbestseller, where you can order it together with my exhibition catalogue Animals. 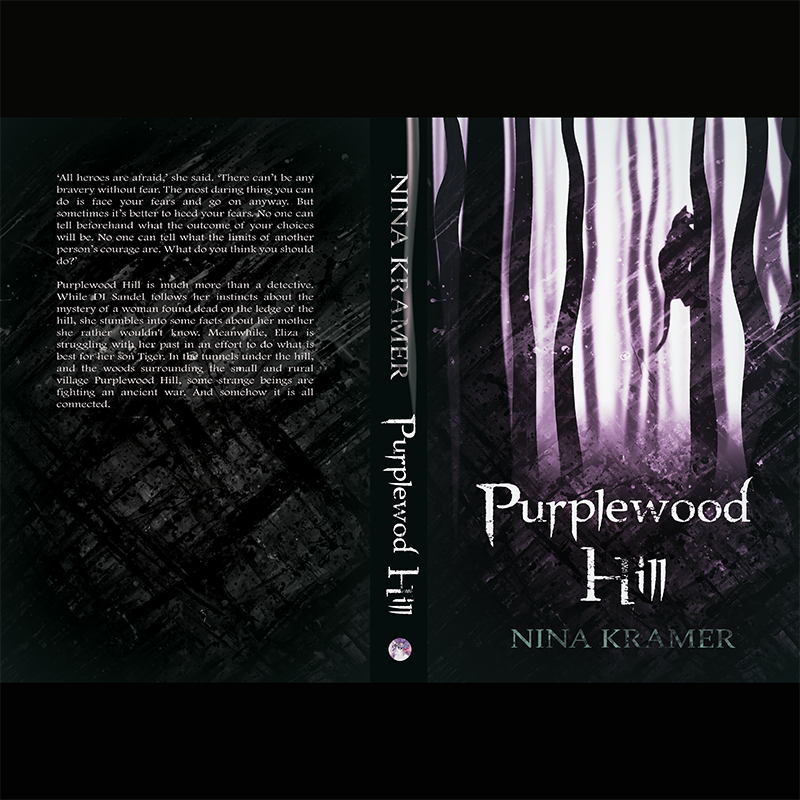 The Purplewood Hill installation is an interactive story based on the book. Three animals, the wolf, the raven and the spider are witnesses to a few scenes in the book. They perceive what is going on by their animal senses, coloured by their animal characters. 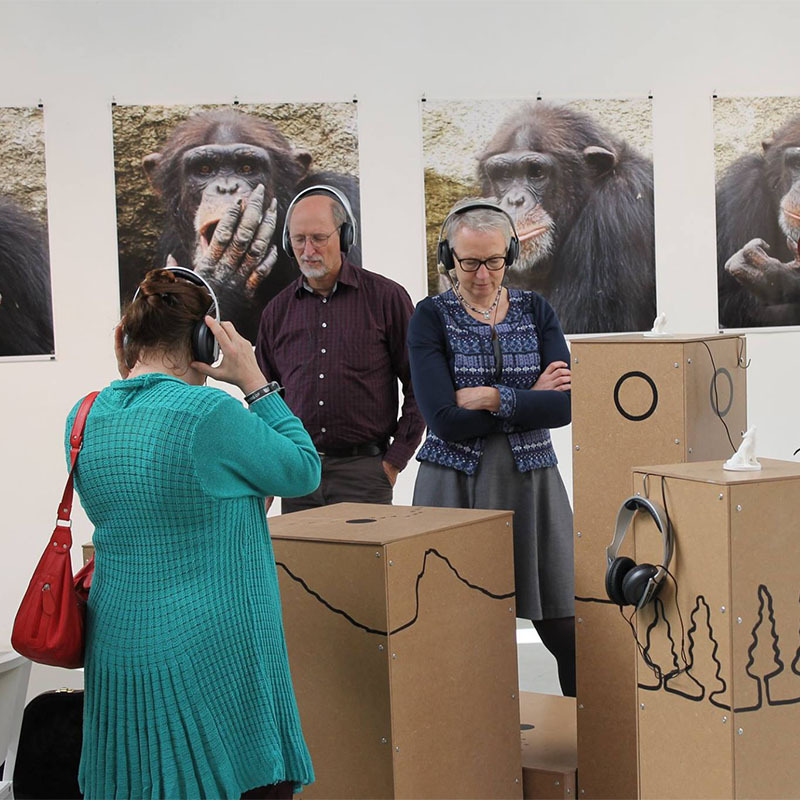 The audience is invited to listen to their stories by putting the animals in certain locations. The installation was built with the technical assistance of Danny van den Munckhof and Max Malherbe, using RIFD technology. Max van Kollenburg lent his voice to make the animals come to life. The Purplewood Installation will be travelling to Cambridge in spring 2018, together with a new installation. Although many things are still uncertain and in development, it will be based on the story of the Minotaur and the Labyrinth. It will be interactive, it will be spatial, tactile and it will be story based. 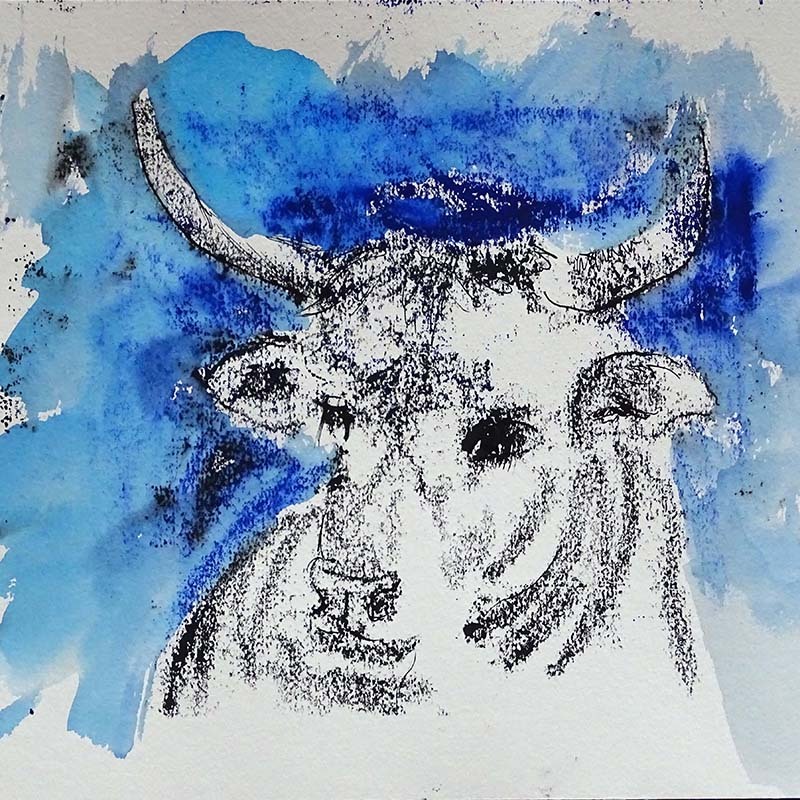 Read about the first and last days of 'my' Minotaur on my blog. I did not follow the true classic story but used it as an inspiration. More to come.